Home automation is rapidly changing the way people enjoy their household surroundings, and also how efficiencies can be gained through the use of modern technology to promote a lifestyle which incorporates a little bit of luxury and a lot of convenience. Here is a brief primer on how some of these incredible devices are creating a whole new lifestyle for people. Television lifts can now cause your TV to pop up from the floor or out of a cabinet, so it takes up no space when not in use. Home theater systems have become so sophisticated that they are now comparable to an actual movie theater experience, without all the annoying patrons flashing cellphones and talking between scenes. You can now program your thermostat to save big-time on energy bills. For instance, you can lower the heat or air conditioning at night, when it is less needed by occupants. In the same way, when your family goes on vacation, you can relieve much of the stress on your heating or cooling system by running it less until you come back. Best of all, you can even do all this remotely if need be. A great many smart security products and systems have been made available now, so that you can control access to your home remotely, and you can even see who is requesting access on your smartphone, while you are miles away from your residence. Your security system can be enabled or disabled at your discretion, from wherever you happen to be. From a central receiver, you can control the music which gets heard in every room in the house which has been wired, or which can receive a wireless signal. This allows every household occupant to be listening to something different, and everyone can still be enjoying exactly what they want. 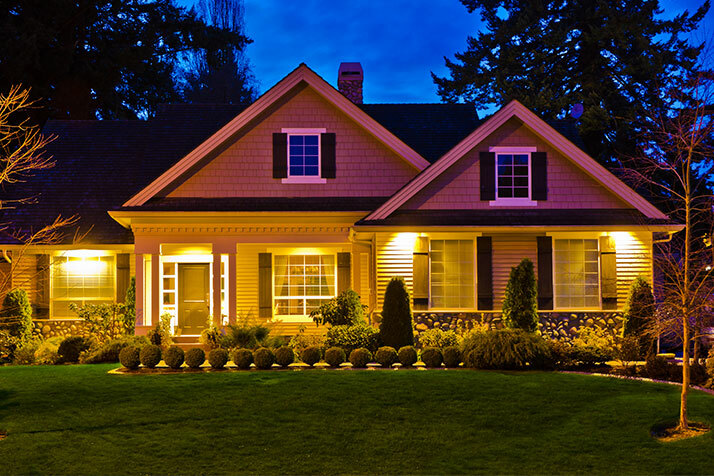 All of your home lighting can be managed through your smartphone or tablet, by connecting it all up as a portable light switch. With this arrangement, you can turn lights on and off, dim and brighten them, and even change colors to suit your different moods.